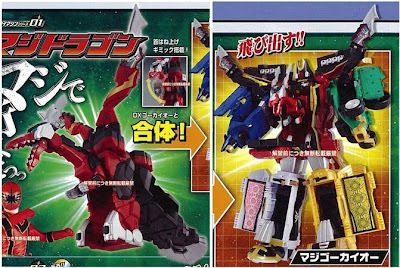 Toku Insider: Goukaiger toy pics!!! 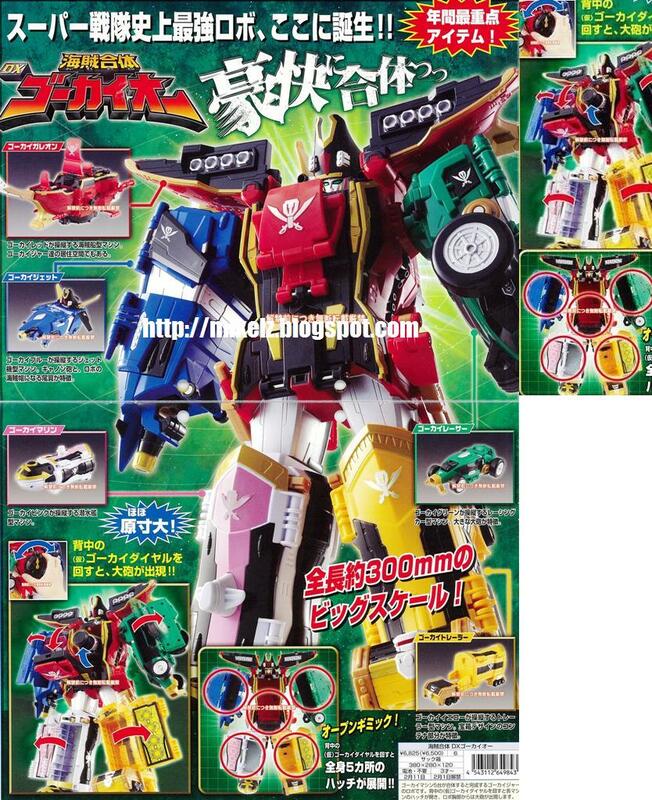 GoukaiMachine Series 02 PatStriker, combines with GoukaIoh to make DekaGoukaiOh. GoukaiMachine Series 03 GaoLion, combines with GoukaiOh to form GaoGokaiOh. 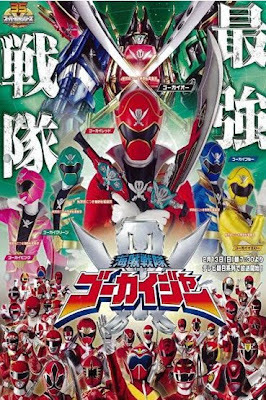 Will have a Shinkenger themed formation with GoukaiOh later on (ShinkenGoukaiOh probably). 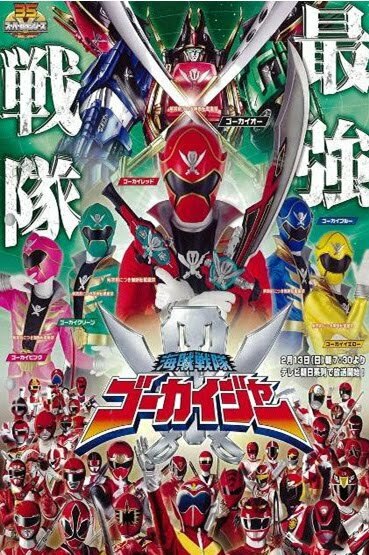 GoukaiSabre (includes GoukaiYellow Ranger Key), GoukaiGun (includes GoukaiBlue's Ranger Key), Goukai Hero Series Sofubi. 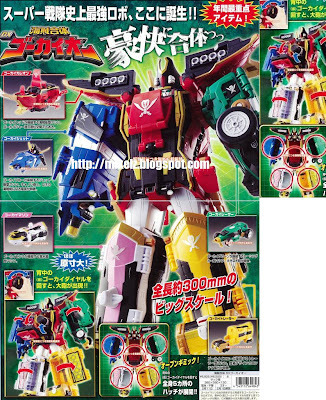 Hmm...the zords/mecha themselves don't look bad, but...come on. A jet/flag hybrid? A trailer/treasure chest hybrid? Why couldn't we have actual pirate themed designs rather than vehicles combined with pirate-y objects? Like, sea creatures, or an all boat set.